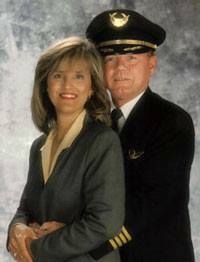 My husband Michael and I moved to The Woodlands in 1982 from Mission Viejo, California. We were some of the early “Woodlands Pioneers”! I was a marketing manager for IBM, one of many jobs that were eliminated when Houston’s economy turned down in the mid 1980’s. I then spent 6 years as a commercial real estate broker, selling the Flagship Hotel in Galveston, the Swiss Chalet Restaurant on Post Oak/Galleria and numerous other businesses. In 1992 I decided to stop commuting and both live and work in The Woodlands. I wanted to own my own business and be part of the community. My real estate career gave me both! As a Top Producer for Keller Williams since 1999, I have helped over 500 families relocate. As a community volunteer, I have served on the Board of Directors for the Humane Society, The Woodlands Rotary Club, the Town Center Improvement District and The Woodlands Community Association.In 2006, my husband and I took up a new hobby together: Amateur Ballroom Dancing! Today, we are still having fun dancing: taking lessons, performing in shows and being part of local competitions. Another recent change came when we decided to sell “our big home” in Grogans Mill and move to a Darling Patio Home on Lake Woodlands. For Michael, it was an opportunity to get back to the waterfront living he had experienced growing up in Southern California… no surfing, but plenty of evenings watching baby ducks and local scullers. With our two cats – Nefertitti and Mr. Tut, we have settled into a Lifestyle that is Distinctively “The Woodlands”! Want to learn more about waterfront living? Real Estate has been my career since 1992 and I am passionate about it. However, I realize that my business isn’t just about homes. It’s about the people. – The buyers and the sellers and their families! I have helped over 1,000 families relocate! A home is more than 4 walls with a roof. It’s a place to raise your children, spoil the grandkids, host your friends, find personal serenity. My job is to listen to my client’s needs and wishes and to help guide them to their own best solution. Call me for a personal tour or a referral to an A+ Agent in another city!